It amused me to a degree, that even Milton Friedman had provided evidence MGR had got it right in 1973: that capitalism and socialism could co-exist. Milton Friedman, the 1976 Nobel memorial prize winner for economics and the highly decorated high priest of American capitalism, died on November 16th, at the age of 94. I have saved the contents of this essay for a future dual biography book on MGR and Kannadasan, but felt that it is also timely now to share it with the readers following the death of Milton Friedman. It may be strange for some to believe that I became interested in Milton Friedman’s writings only through MGR. Partially the blame should go to the school and university curriculum used for the 1960s and 1970s in post-colonial Ceylon as well. Once I chose to study [natural] sciences at the age of 12 in 1965, there was no opportunity for me to sit in any class teaching economics, until I graduated in Zoology from the University of Colombo in 1976. Thus I missed out on Milton Friedman in my salad days. Luckily for me, my movie idol MGR had other plans. He had been thrown out of the Karunanidhi-led DMK party in October 1972. This led MGR to found his own party immediately, which he named Anna DMK, to honor C.N.Annadurai (Anna), his political mentor and founder of the DMK party. On September 17, 1973 (even before his newly founded party reached its first anniversary), MGR in his inimical fashion announced that the ideology of the ADMK was ‘Annaism’. This was a new word in the Indian political lexicon. To the question, what is the essence of Annaism, MGR had a ready answer; “a proper amalgam of capitalism, socialism and communism”. Only the charismatic MGR could deliver such an obscurantist response and still stay in the political theater without being chased away as a crackpot. Remember that in the India of 1970-1977, led by Indira Gandhi, socialists and communists of the ‘home garden’ variety and the ‘foreign-returned’ variety chased their dreams on the politically red hued rainbows of socialism and communism. For them, capitalism was an anathema. Even Chakravarthi Rajagopalachari (Rajaji), a renowned freedom fighter and later the first Governor General of independent India, had to fold his pro-Capitalist Swatantra Party for lack of popular support. From the podia of their English press, the pen wielders of socialism and communism naturally ridiculed MGR (a primary school dropout turned a stage actor and then a successful movie idol) for his ignorance on economics and government. It amused me to a degree, that even Milton Friedman had provided evidence MGR had got it right in 1973: that capitalism and socialism could co-exist. Meanwhile, MGR had passed away in December 24, 1987 – two years before we heard from the American high priest of the capitalist economy. I provide below the entire text of Milton Friedman’s mini-essay, which appeared in the New York Times of December 31, 1989. I consider this a masterpiece of lucid writing for commoners by an egghead wizard of economics. Words in italics are in the original essay. Major premise: Socialism is a failure. Even lifelong Communists now accept this proposition. Wherever socialism has been tried, it has proved unable to deliver the goods, either in the material form of a high standard of living or in the immaterial form of human freedom. Minor premise: Capitalism is a success. Economies that have used capitalism – free private markets – as their principal means of organizing economic activity have proved capable of combining widely shared prosperity and a high measure of human freedom. A private market system has proved to be a necessary though not a sufficient condition for prosperity and freedom. Conclusion: The U.S. needs more socialism. An obvious non sequitur, yet there is no denying that many apparently reasonable people – including most members of Congress and of the Bush administration – accept all three propositions simultaneously. What is socialism? In its purest form, socialism is government ownership and control of the means of production. Ownership of anything implies the right to the income produced by that thing. All means of production in the United States – people, land, machines, buildings, etc. – produce our national income. Spending by government currently amounts to about 45 percent of national income. By that test, government owns 45 percent of the means of production that produce the national income. The U.S. is now 45 percent socialist. Ownership of anything also implies control of how it is used. An owner may delegate detailed control to agents, as most private stockholders of private corporations do, while retaining the right to replace the agents. Government is in that position with respect to many of the means of production that produce the income it receives. Beyond that, however, government exercises extensive direct control over how the means of production may be used: It prohibits certain uses (to deliver first class mail, to sell some drugs at all, to sell others without prescription, etc. ); it controls other uses through laws governing wages, hours and working conditions, rent control and in other ways. I do not know how to express the importance of such controls as a percentage of national income, but clearly they are important and their existence means that 45 percent understates the degree of socialism in the U.S., perhaps appreciably. Socialism has proved no more efficient at home than abroad. What are our most technologically backward areas? The delivery of first class mail, the schools, the judiciary, the legislative system – all mired in outdated technology. No doubt we need socialism for the judicial and legislative systems. We do not for mail or schools, as has been shown by Federal Express and others, and by the ability of many private schools to provide superior education to underprivileged youngsters at half the cost of government schooling. Airlines have had no difficulty in acquiring the planes and personnel to handle the increased traffic produced dy deregulation. What has been the bottleneck? Airports. Why? Because they are government owned and operated. We all justly complain about the waste, fraud and inefficiency of the military. Why? Because it is a socialist activity – one that there seems no feasible way to privatize. But why should we be any better at running socialist enterprises than the Russians or Chinese? By extending socialism far beyond the area where it is unavoidable, we have ended up performing essential government functions far less well than is not only possible but than was attained earlier. In a poorer and less socialist era, we produced a nationwide network of roads and bridges and subway systems that were the envy of the world. Today we are unable even to maintain them. What had Milton Friedman omitted in this 1989 essay? While mentioning that military spending in the USA is a “socialist activity”, Milton Friedman had omitted to elaborate on an important component of military spending; that is spending by the gumshoes on spying. It appears to me that some aspects of military spending such as spying were ‘no touch’ territory for even Nobel prizewinning economists, like Milton Friedman. I checked the New York Times archive (LexisNexis Academic database, from June 1980), and 521 items came up for Milton Friedman alone. But when I combined the search for Milton Friedman and the CIA, there was only one item in the past 26 years, which was also not a direct contribution from the economist. Thus, while the highly decorated ivory tower academic had provided evidence that 45 percent of American spending is ‘socialist’, to learn about what he had refrained from mentioning, I turn the readers’ attention to a thought-provoking essay by Andy Rooney, one of the leading American humorists/satirists, to shed light on the communist angle of American capitalism. Spying is illegal, immoral and unethical. Spying doesn’t work and it’s a waste of money. …Intelligence agencies of every country work the same way. They convince citizens that they’re about to be attacked by another country and, because of the threat, there’s a need for all sorts of spy and intelligence activity. When the threat doesn’t materialize, the intelligence agency doesn’t admit it was wrong. It’s smarter than that. It takes credit. It says the enemy didn’t attack because it warned us so we built up our defences. The enemy knew we were prepared so they changed their minds about attacking us…. The course of events in the world has been little changed by anything spies ever came up with. They make good movies and good novels but they aren’t good for much else… Spies are, generally speaking, maladjusted social misfits who can’t make a living at anything else. The spies of our country and the spies of the enemy are the same people. They’re interchangeable. When you hear of defectors, it’s almost always spies who defect, not other government officials. Spies defect more often because dishonesty is what they deal in and they get their kicks out of deception. Intelligence agencies are impervious to the kind of inspection or criticism that other agencies of a democratic government are subjected to. When the CIA is questioned about anything, agency officials have a standard answer: ‘Sorry. Torture us but we’re patriotic Americans. To reveal that information would compromise the security of the United States.’ They spend half their time not spying but trying to catch other spies. 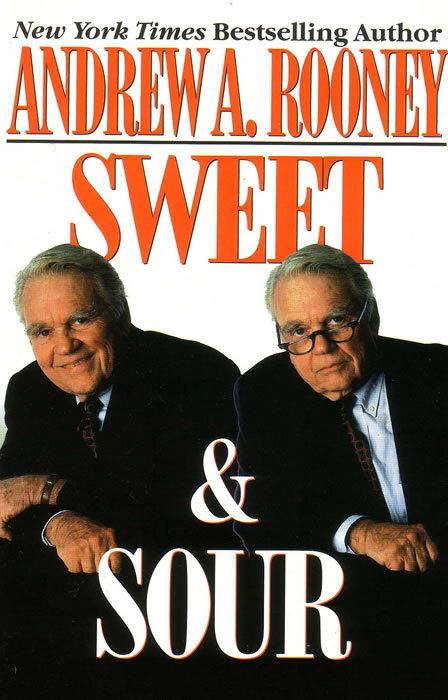 Andy Rooney had lucidly presented a case that as far as the functioning of gumshoes in America, there exists hardly a difference from them to those of the Communist breed. Vladimir Putin, the current leader of Russia is an ex gumshoe of Communist Soviet Union, from 1975 to August 1991. The same goes to Robert Michael Gates, the newly nominated Secretary of Defense in the Land of Liberty. Gates had served 26 years in the CIA. “Milton Friedman should know better than to confuse Communism with socialism (''We Have Socialism, Q.E.D.,'' Op-Ed, Dec. 31). The ‘purest' form of socialism is not, as he states, 'government ownership and control of the means of production,' but worker ownership and control of the means of production. What Professor Friedman describes are Communist societies, not socialist ones. The difference is crucial. Worker ownership can be achieved through cooperatives, private nonprofit corporations and labor unions, all distinct from, maybe even inimical to, the interests of government. The 20th-century Communist governments have used some elements of socialism: guaranteed jobs, housing, education, transportation and medical care, but they have not been socialist societies. They have not been because the state has owned the means of production, not the workers. Further, Professor Friedman is wrong to accuse the United States military of being socialistic. True, it has some elements of socialism, but military personnel do not control the military, and they certainly do not own it. Government (not the people) controls the military, and the host of private military contractors are very largely the owners of the military. Government, through the appropriate House and Senate committees, has historically danced to the tune of the military arms inventors and suppliers. This is not socialism, but state-sponsored capitalism. Prof. Joseph Fahey may indeed be correct that socialism in its pure form has not been tried in any country, though quite a number of states (including failed states like post colonial Sri Lanka) have splashed the word for propaganda uses in passports as well. To sum up, the thoughts of Milton Friedman, Andy Rooney and Joseph Fahey (all honest Americans) do show that MGR’s Annaism concept (an amalgam of capitalism, socialism and communism) does thrive in the Land of Liberty, but under a different name.